Maine Gov. 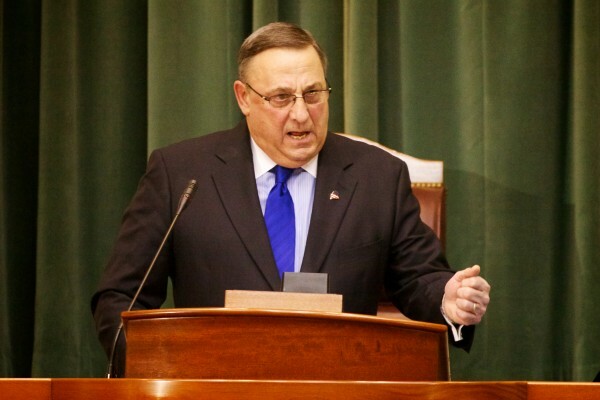 Paul LePage delivers his State of the State address in in the house chambers in Augusta on Feb. 5, 2013. For years, Republican Florida Gov. Rick Scott railed against the president’s Affordable Care Act. And when the U.S. Supreme Court ruled the act constitutional in June, Scott, a former hospital executive, made clear he would not expand Medicaid, a health insurance program for the poor. He said increasing coverage would make the eventual costs to his state too high. The health care law requires states to expand Medicaid access by raising income eligibility limits. The federal government originally said it would penalize any state that failed to comply with the expansion by withholding Medicaid funds, but the court ruled that penalty unconstitutional. So states can decline expansion without losing current federal funding. Last week, Scott surprised the nation when he became the seventh Republican governor to support the expansion of Medicaid. He said he would agree to the expansion for the period the federal government would cover its costs entirely. Under the law, the federal government would fund 100 percent of the cost of “newly eligible adults” up to 133 percent of the federal poverty level for the first three budget years. Then it would cover 95 percent of the costs in 2017; 94 percent in 2018; 93 percent in 2019; and 90 percent in 2020 and future years. That phrase, “in good conscience,” is missing from the debate in Maine. It has fallen into the minority of states — and the only one in New England — to reject or lean toward rejecting the Medicaid expansion. In doing so, Maine is closing its eyes to the possibility of improving public health and reducing health differences linked to economic disadvantages. It’s also making other parts of the law hazardous. The Affordable Care Act reduces federal payments to hospitals over time, in expectation that more people on Medicaid and private insurance will reduce the amount of charity care hospitals have to provide. So in states that don’t expand Medicaid coverage, hospitals will face financial losses as they continue to treat the uninsured, according to the Harvard Law School Center for Health Law and Policy Innovation. The worry is that the costs will be passed onto patients with private insurance, increasing their premiums. It’s reasonable for LePage to have concerns about how federal and state governments will pay for the Medicaid expansion. But the administration would be ill-advised to make such a large policy decision based on an as-yet unproven fear that the federal government won’t hold up its end of the deal. Maine Department of Health and Human Services Commissioner Mary Mayhew told Florida lawmakers early this month that she had difficulty seeing how the federal government could afford the expansion amid consistent budget crises. However, not agreeing to the Medicaid expansion could make it more difficult for the federal government to carry out its overall health reform goals. The focus should be on measuring the net fiscal effect of Medicaid expansion. Maine cannot forget that, as other states expand coverage, states that opt out might have a harder time attracting health care professionals and businesses. Also, if Maine does not participate, it will essentially be funding the cost of coverage in other states that do. LePage would benefit the state — especially its poorest residents — by talking to Florida’s governor about his reasoning for changing his opinion. Maine’s governor should change his, too.